As of yesterday, Facebook Graph Search has officially opened its big, omniscient arms to every last check-in, status update, note, and comment you've ever posted throughout your entire Facebook career. Which, yes, sounds pretty terrifying, but don't worry—we're here to help you cover your tracks. Thankfully, Facebook has given us the tools we need to (mostly) take control of our privacy moving forward. Here's what you need to know. The main concern with Facebook's new, more granular search is that your hundreds—and in some cases thousands—of past posts, each now requires its own, unique privacy setting. But don't worry, you're not going to have to spend days clicking through every embarrassing, insipid post from the previous 7-odd years. Instead, Facebook lets you change your entire past en masse—sort of. To keep strangers from poring through every single detail of your Facebook history, you'll want to turn any post that's either Public or visible to Friends of Friends into a strictly Friends Only post. To effect that change in one swoop, click on the Privacy Shortcuts icon in the top right to bring down the following menu. The dropdown will show you a few (hopefully) familiar privacy options. Click See More Settings, which will take you to a more robust menu. Once there, you'll see a new option: Limit Past Posts. Click that. Facebook will then warn you that, even though you may change your posts to friends-only, they'll still be visible to friends of anyone tagged. You'll also be told that, hey, there's still time to turn back and "just" go change the privacy setting on every single individual post. Ignore! NO one has time for that noise. Instead, click on Limit Old Posts. But wait, Facebook says. This deed can't be undone, and the consequences of changing your mind could be terrible! Do you realize what you're doing? Yes, you do. And it's worth noting that Facebook tries to dissuade you by giving you the exact same alternative as above—just reworded to sound more tedious (i.e. an honest description). Ignore again! Go ahead and Confirm, and you're done. Now, bear in mind that this only protects you against non-friends. 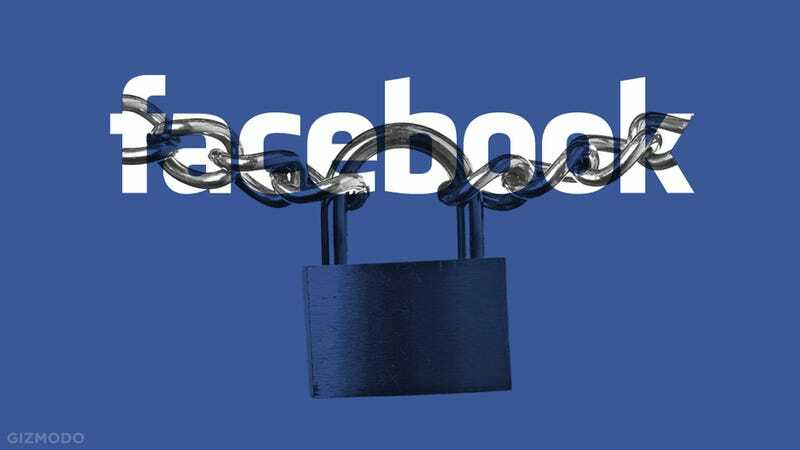 Your Facebook friends will still be able to dig up anything that hasn't been explicitly guarded, but preventing that would kind of defeat the whole point of Facebook anyway. And if there is anything you recall as being particularly incriminating, now's probably a good time to go back and lock that sucker down, especially since you've still got some time before the new search feature becomes universal. Assuming you're human, you've had some lapses of judgment in your Facebook past. If you're lucky enough to remember exactly when they occurred, you can make sure they don't come back to haunt you. If you do decide to go with option 1, click on the icon under your name to pull up a menu with your various privacy options. Here, you can choose to make the post visible to a specific list of friends, you only, or a custom combination of both individuals and friend lists. Your selection will only change the privacy setting for this particular post. But should you decide to delete the post entirely, click the arrow in the upper righthand corner of the post. Hit Delete on the pull-down menu that pops up, and your past indiscretion will be banished to the nether regions of internet hell, never to be seen again. Your call, but if this is something you're genuinely so embarrassed and/or concerned about that you're willing to dig through your entire Timeline to hide it, total deletion is probably your best bet. Now that you've secured the posts that came from your more unwitting, past self, it's time to make sure you know exactly who's seeing what from now on. Every time you post a new status, photo, video, check-in, etc., your default privacy setting will be the same as the setting you chose last time. So if your last post was an article you shared and set to Public, you're going to need to make sure and change your post privacy setting if you don't want the whole world seeing what you have to say. Once you choose your setting for that post using the pull-down menu, this also means you're choosing the default setting for your next post. Facebook's been doing this for a while, but it's all too easy to forget and, thus, worth reminding ourselves to check who's going to be able to see what we're sending out—especially now that, soon, anyone will be able to find it.